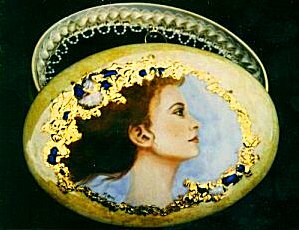 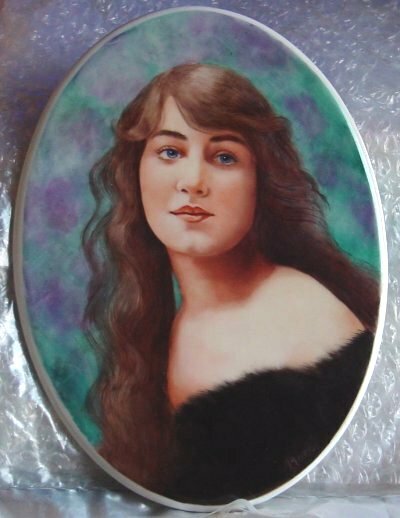 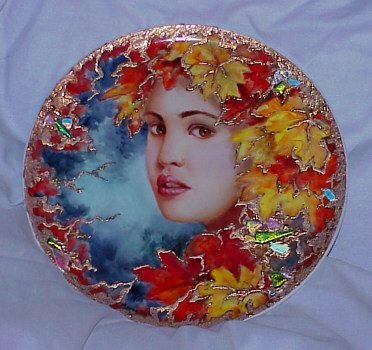 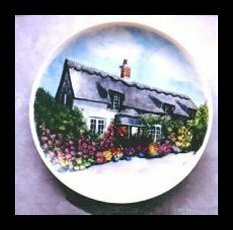 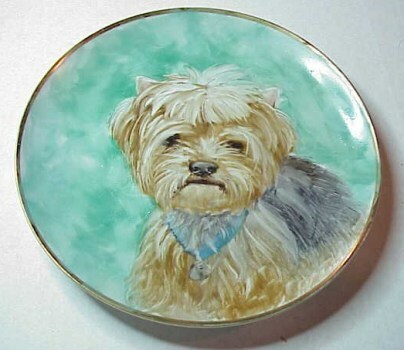 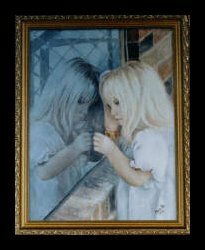 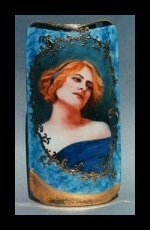 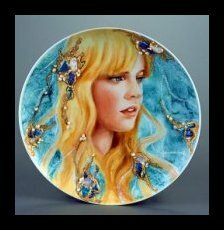 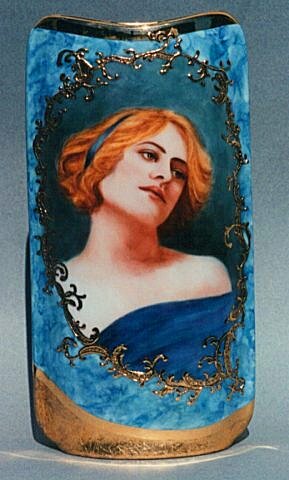 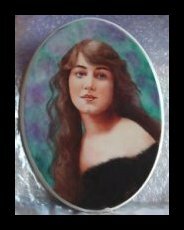 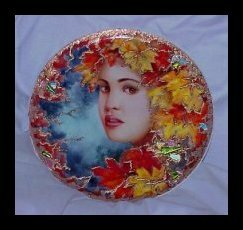 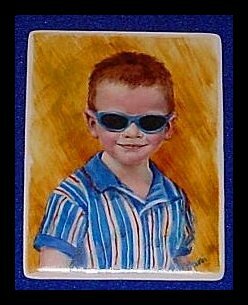 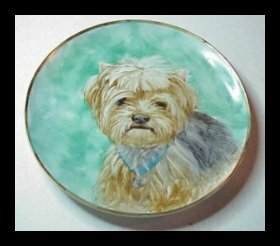 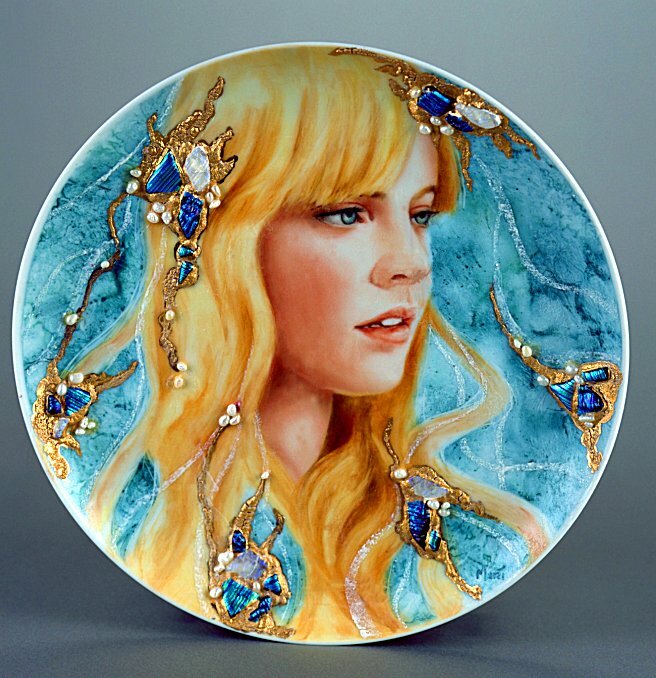 Porcelain painting starts with a white clay ( usually porcelain ) surface that has been clear glazed. 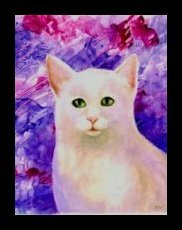 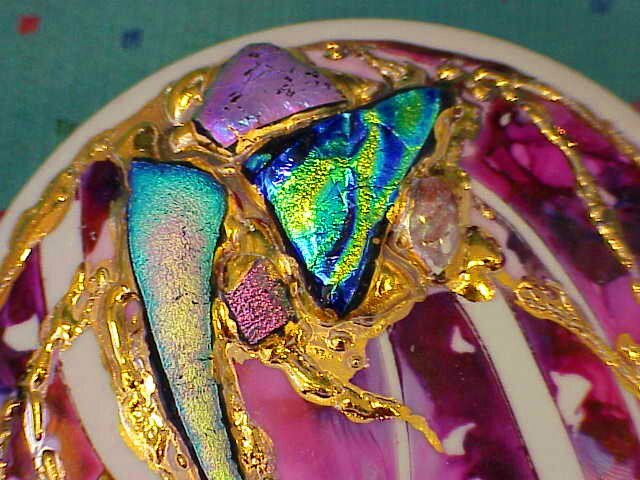 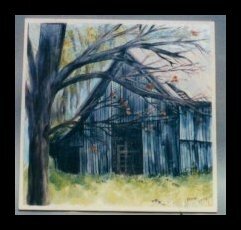 Mineral based paints are then mixed with a medium and applied with a soft brush just as one would paint a canvas . 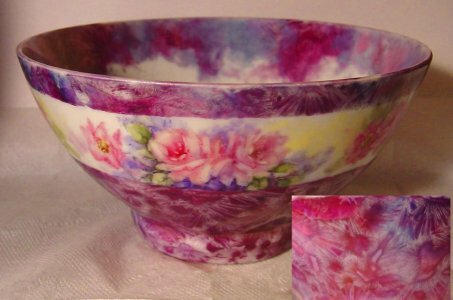 The technique is similar to watercolor where the white of the china acts as the light in the painting and the painting must be done light to dark .China paint must be applied in thin layers which are kiln fired to approximately 1500 degrees F. and then repainted and refired until the desired depth is achieved. 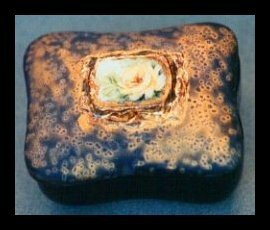 The firing process adds a degree of difficulty to the process which can change the color of the paint or sometimes fire it out completely. 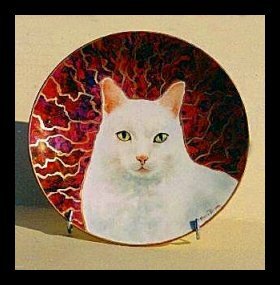 Reds are particularely difficult ...however , once fired, the paint is permanently fused to the glaze and will never alter or fade even when exposed to strong sunlight. 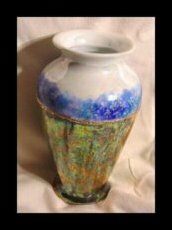 The translucency of the fired colors also allows for a depth that can not be acheived with any other medium. 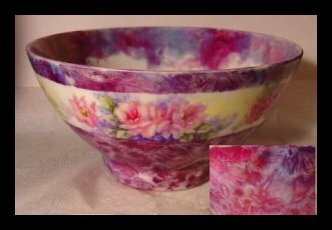 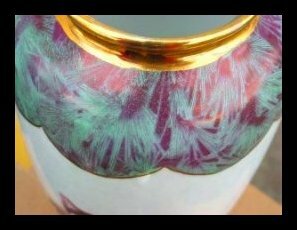 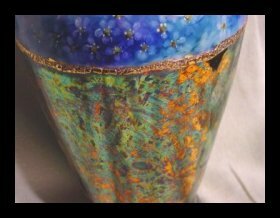 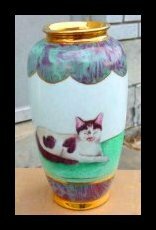 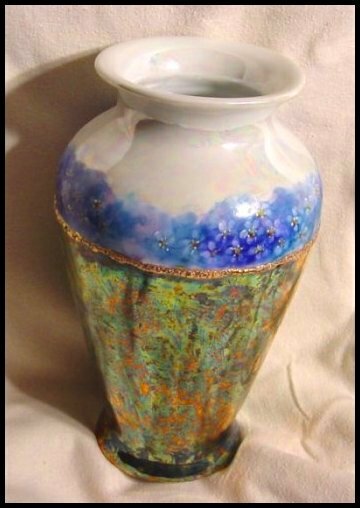 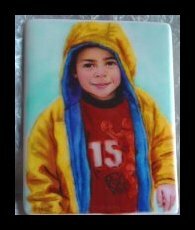 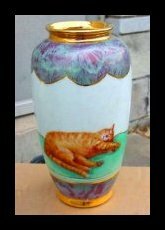 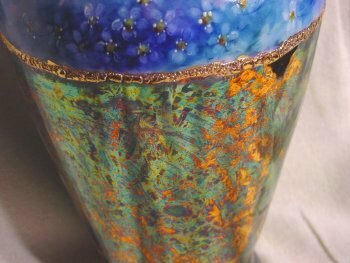 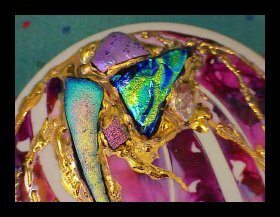 The overglaze process can also involve the use of raised clay-based pastes , gilding , luster, removing the glaze ( incising ) and the fusion of glass and porcelain to the glazed surface for added textural interest. 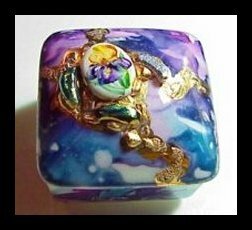 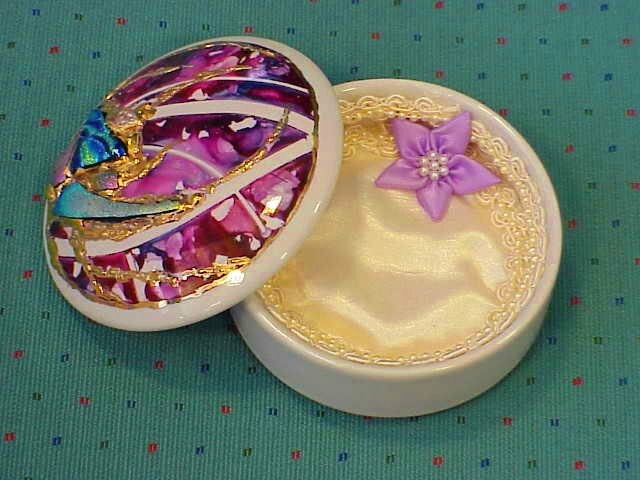 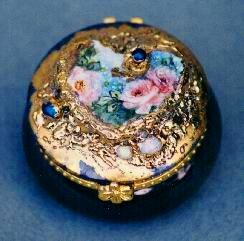 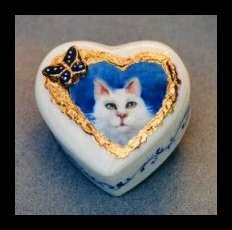 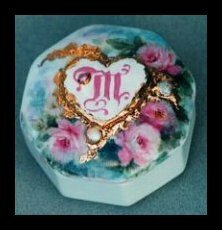 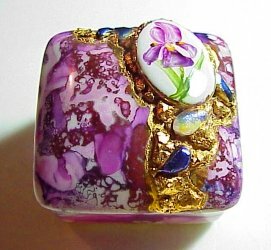 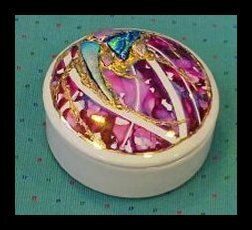 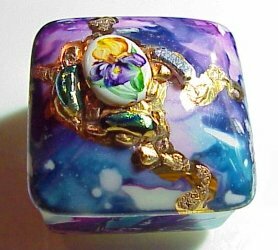 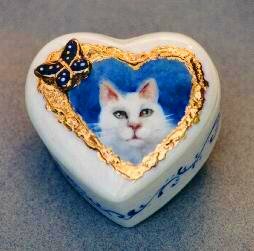 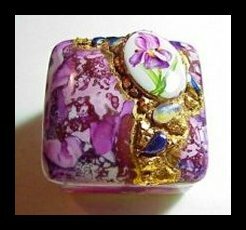 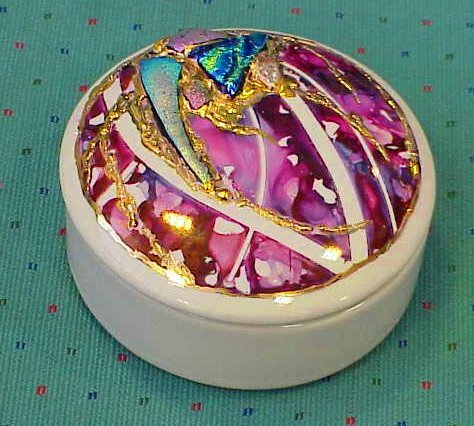 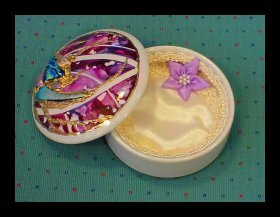 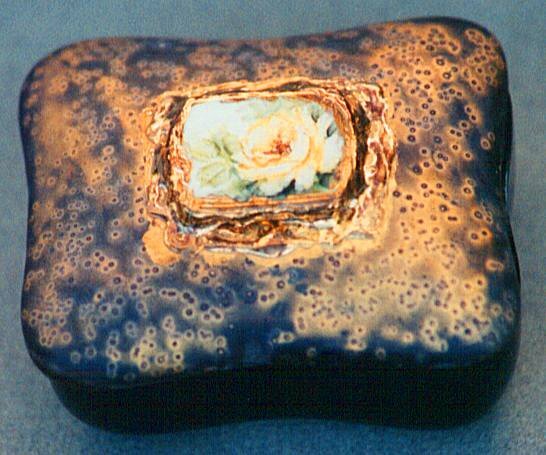 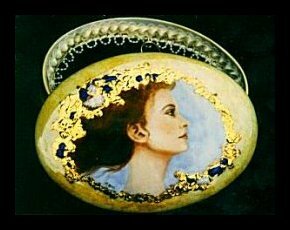 3 inch box with gilded raised structure paste and fused porcelain butterfly. 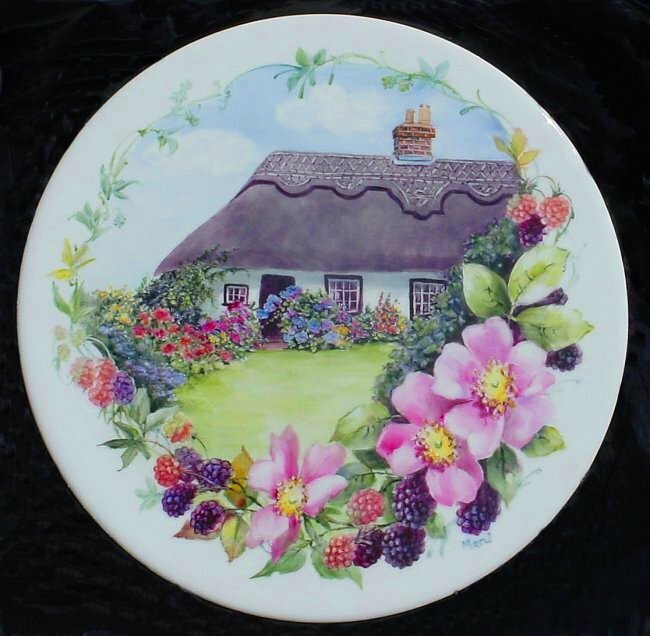 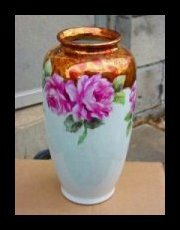 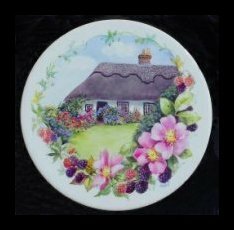 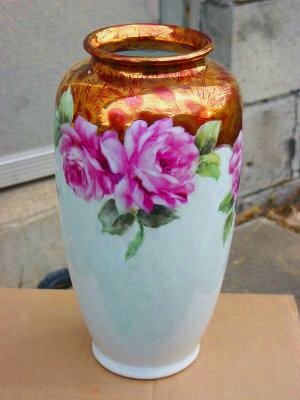 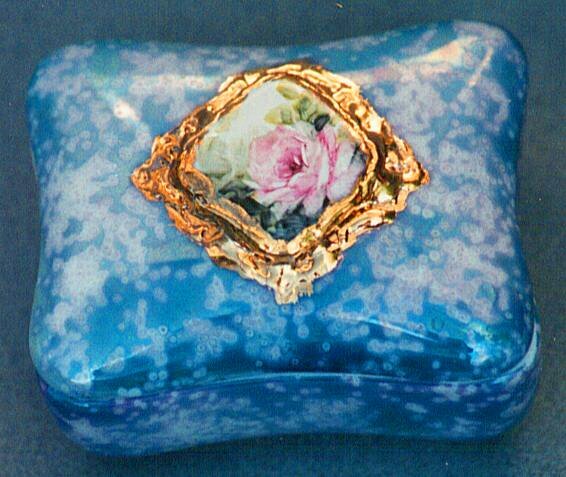 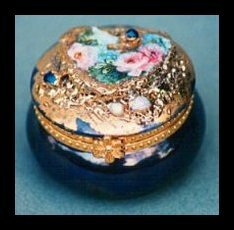 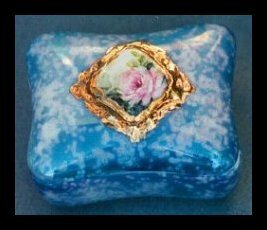 "English Cottage with Wild Roses and Berries"
"Roses and Crystal Magic Vase"
"Gilded Salt Luster Box "